This will be the softest hoodie you will ever own! 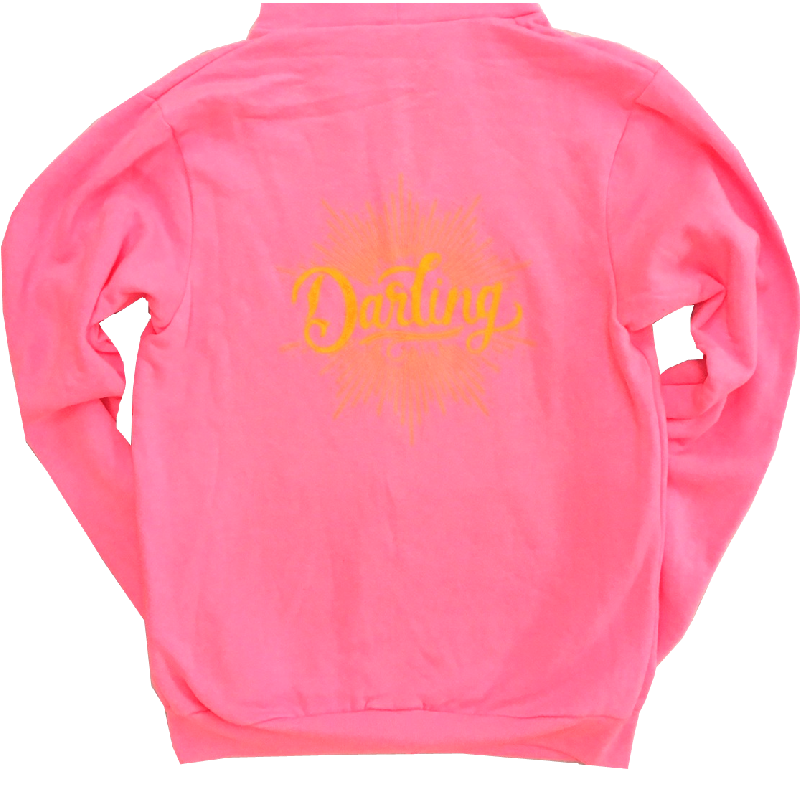 This is a 50/50 Cotton/Polyester blend hot pink hoodie by American Apparel. SD burst logo on the front left chest, Sarah Darling printed on the left sleeve cuff and DARLING printed on the back.